The Financing Alliance operates at a global, regional and country level. In early 2015, UN Special Envoy Ray Chambers and Prime Minister Hailemariam of Ethiopia convened a high-level group to assess financing and scale-up of Community Health Worker (CHW) programs in Africa, given the complexity of the funding landscape, the challenges of utilising domestic resources, and the difficulty of capitalising on available funding opportunities. The group delivered a ground breaking report that found a 10:1 return from investing in community health workers. The Financing Alliance for Health subsequently launched in 2016 with a pilot project in Liberia, to provide substantial support to governments in better leveraging existing funds and mobilising new funding for strong and effective health systems and community health in particular. The Financing Alliance endeavours to focus the best global practices in primary and community health financing in countries, as well as elevate the country level discussions and request on a global stage. The organisations achieves these through four work areas: A) Country government support B) Analytical toolkits C) Financing products/ modalities and D) Awareness and education. 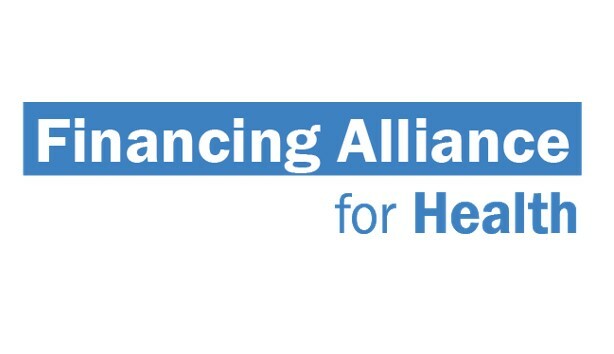 Financing Alliance has played a key role in ‘facilitating/brokering’ conversations at national and global levels, to ensure financing is a core component of the process to develop high-quality, at-scale health programs, in addition to technical health conversations. The Financing Alliance works across sectors, and alongside key financing stakeholders, to ensure that financing is increasingly ‘blended’ and includes a range of public and private sources. Financing Alliance’s ambitious 5 year goal is to work across several developing countries, supporting the scale up of over 150,000 community health workers (CHWs), and focusing $1B+ of financing toward primary and community health in order to increase access and utilisation of quality health services, at the community level, as a pathway towards Universal Health Coverage (UHC). In the near term, the Financing Alliance will prioritise its support to those countries that show high levels of political support for building community health systems. For more details on this Financing Alliance for Health role, positions in Kenya and any Movemeback opportunity across Africa, apply today to become a member.